Afghan-American filmmaker Sedika Mojadidi follows her father home to Afghanistan to battle one of the highest maternal mortality rates in the world. 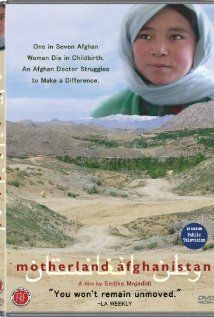 Dr. Qudrat Mojadidi is an OB/GYN who was forced by political pressures to emigrate from Afghanistan to the U.S. in 1972. In 2003, nearly two years after the Taliban’s fall, he is invited by the U.S. government to help rehabilitate the largest women’s hospital in the country. He returns to his homeland with great hopes that he can help set in motion the large-scale changes necessary to stem the country’s epidemic of maternal mortality. As Afghanistan heads into yet another period of post-war transition, Motherland Afghanistan reminds viewers of the complex interplay of culture, conflict, and care. The film suggests that maternal health, education, and the design of relief efforts have ripple effects on a nation’s well-being. And so do the quiet deeds of those — like Dr. Mojadidi — who attempt to heal.